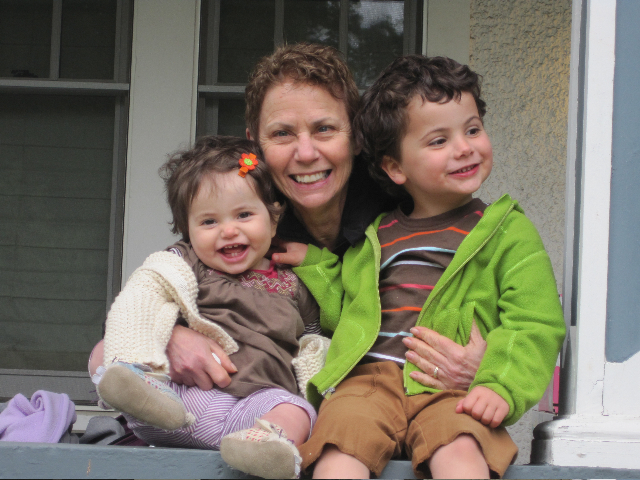 Michele Hoffnung, grandmother of six bright and beautiful children, ages 11.5 to almost 2. The two youngest. Lalo and Pia, are in this photo with her. I was trained as an experimental psychologist (PhD from University of Michigan) and have been a professor of psychology ever since. I have taught research methods (scientific!) and psychology of women for more than 40 years at Quinnipiac University in Hamden, CT, as well as being mother and grandmother, wife and friend, sister and activist.